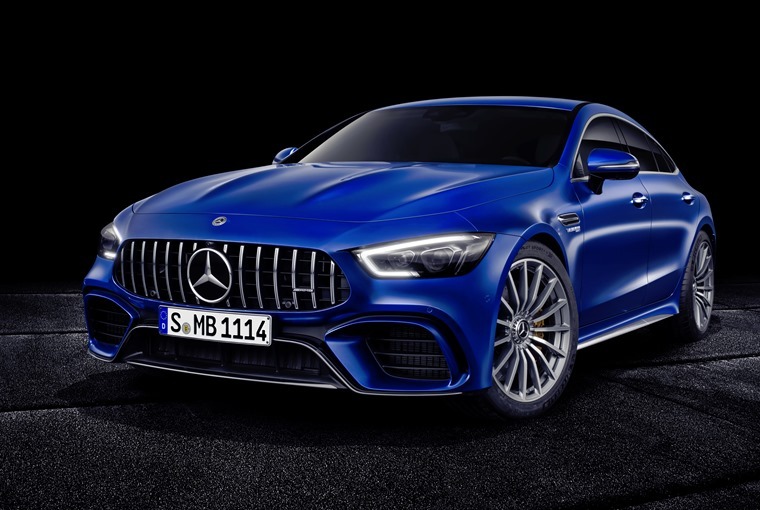 Following on from last year’s concept car, the eagerly awaited Mercedes-AMG GT four-door Coupe has finally been revealed at Geneva. Aiming to rival the Audi RS7 and Porsche Panamera when it arrives early in 2019, it makes use of AMG’s tried-and-trusted 4.0-litre V8 twin-turbo engine which in ‘S’ guise provides this four-door with a supercar-beating 630bhp. At first glance the car looks remarkably similar to the recently revealed CLS, but on closer examination things are rather different – the headlights are unique to the AMG and, thanks to a hatchback tailgate, its roofline is lower too. 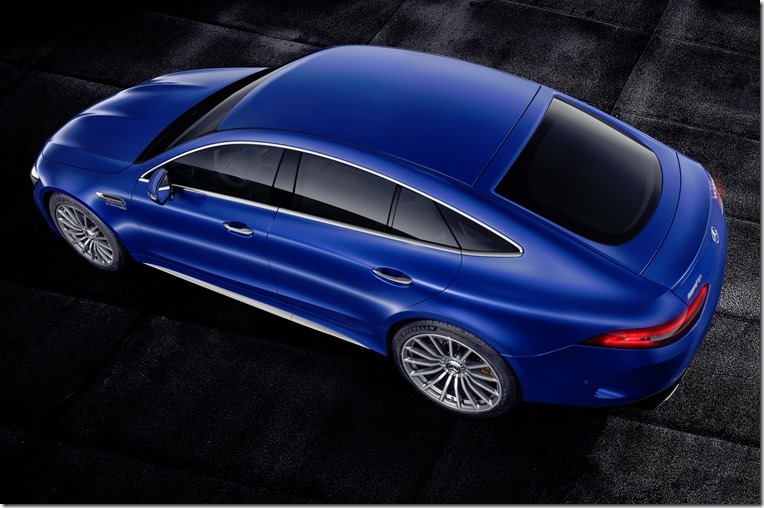 Flared wheel arches ensure the GT is wider than the CLS, while a fixed rear wing and quad exhaust pipes finish the look. Numerous add-on styling packages are available, with the ‘Night Package’ and two carbon-fibre variations. The interior appears in line with all the most recent Mercedes, making use of twin 12.3in screens that provide the infotainment readouts and driver display. Three different styles are available for selection for these all-digital displays: "Classic", "Sport" and the completely new "Supersport". Trim has taken a step up compared to the two-door AMG Coupe and Roadster models, and features a new air vent design, LED ambient lighting and a completely rehashed centre console with a new button and gearshift layout. 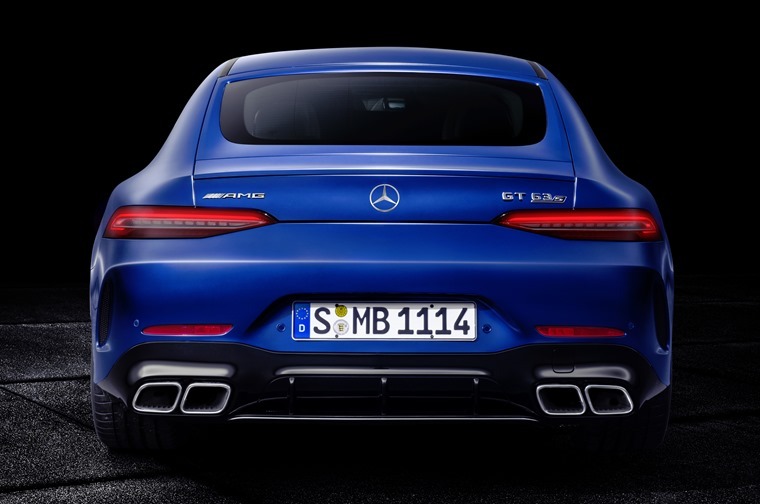 For the first time, the AMG GT will be available with a six-cylinder petrol engine as well as its twin-turbo V8s. Exact specs for the entry-level six cylinder are still to be announced, but the V8 available from launch will be available in two states of tune. The first produces 577bhp and 800Nm of torque allowing for a 0-62mph time of 3.4 seconds and a top speed of 193mph. The range-topping S variant gets 630bhp and a 100Nm torque boost, shaving 0.2 seconds off the 0-62 run and increasing top speed to 196mph. All AMG GT 4-Door Coupé models are equipped with the AMG Performance 4MATIC+ all-wheel drive. 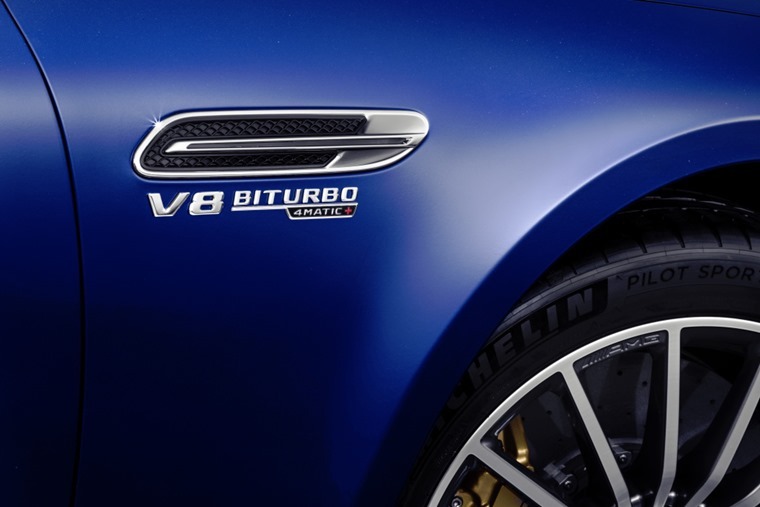 Depending on the engine there are up to six drive programs to choose from in the four-door AMG GT: "Slippery", "Comfort", "Sport", "Sport+", "RACE" and "Individual". These levels are selectable via the gearshift paddle in the centre console and stored with the new drive program attribute AMG DYNAMICS, which can be adjusted to match the AMG GT 4-Door Coupe's handling characteristics to different demands and driving conditions. Exact UK list prices are to be confirmed, but we’ll bring you all the info as soon as it’s announced. In the meantime, you can check out the new CLS, or alternatively, have a look at the very best Mercedes lease deals.